Wow! This is the big reveal for the 2013 Art Charm Exchange and Charity Auction. It’s my first time ever to participate and I’m so excited. Not only do I get some very cool charms, but hopefully, my own charm will sell and I can help make a little money for Beads of Courage. If you missed my blog about Beads of Courage, check it out and you will see what a great cause we will be supporting. It’s a wonderful program that uses color, beads and art to support kids with terminal illnesses. You know if it helps kids, I’m all in. 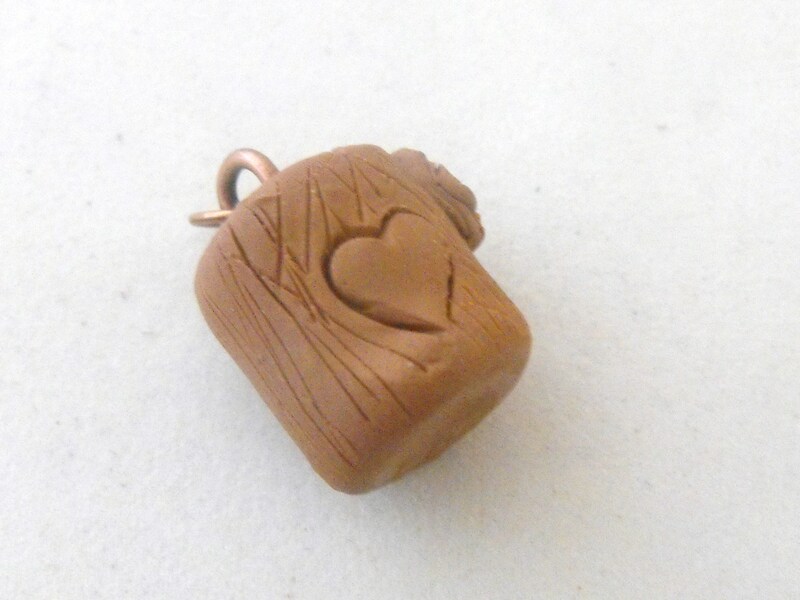 The theme this year was LOVE so the charms we created had to, in some way evoke our feelings when we thought of the word LOVE. Believe me, I struggled with this one. I love my family, my kids and grands, small animals, birds, nature, books and music not even mentioning beads here. So I could not decide what to do until one day, when listening to some old old music, I heard the Troggs belting out WILD THING. This song has special meaning to me. Remember your first love? You had a song……….it was “your song”? Okay, get out of your past and I’ll take you to mine. When I was dating him, he played in a little garage band called the Swamp Eaters. (YES, I know………sounds like a sci fi horror flick, grade C). Anyhow, he played lead guitar and he was band leader. The Swamp Eaters played at local schools and a few bars in nearby towns. I never gave him an exact time when I would show up but when I did, I would hesitate in the doorway just for a moment. And I would know that he was not watching the gyrating miniskirts on the floor, he was watching for me, because as soon as I appeard…whichever song they were playing stopped….immediately. There would be a couple of heartbeats of silence and then……….the opening bars of Wild Thing. When they sang Wild Thing, you make my heart sing….I would make my grand entrance. It was quite the feeling, let me tell you, to have all eyes on me and my lead guitar grinning out at only me. Now that’s young love and that is what I wanted my charm to reflect. I found these crazy varigated color polymer clay hearts at Blue Morning Expressions. It took a while to get the treble cleff just right but it is superimposed over the heart and two tiny wire music notes dangle from the bottom of the cleff sign. Crazy hearts and pure music, that’s young love to me. We each had to make 11 charms, ten for the exchange and one to be auctioned off. It was so exciting to anticipate what other charms I would get in the trade. I want to show you what adorable charms I got. , this adorable little bird. My daughter is just the person who will love this little guy as much as I do and I can hardly wait to make a surprise for her. (Close your eyes, Dawn, you did not see this). 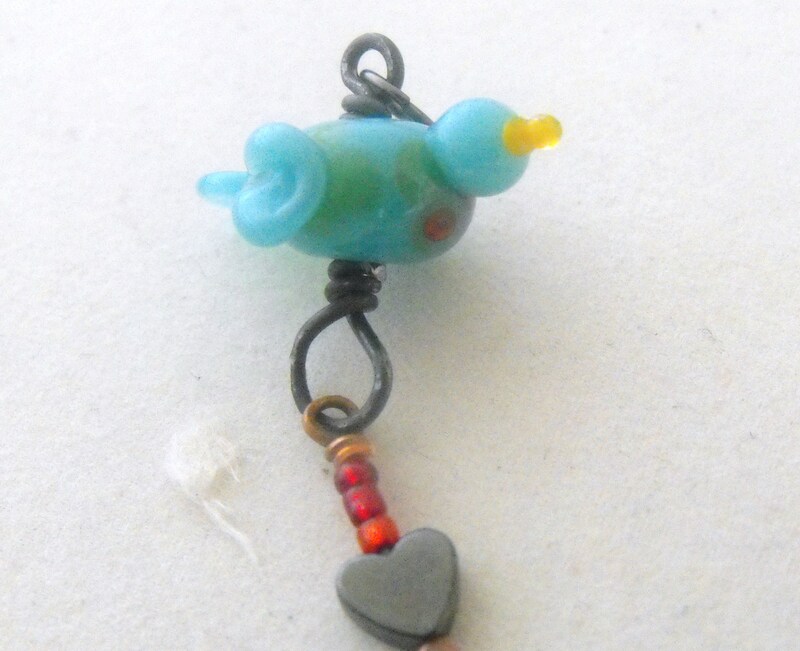 And look at this adorable little glass bird! DAWN! You cannot have both birds! He comes from Carolyn Chenault. What a wonderful little guy he is! 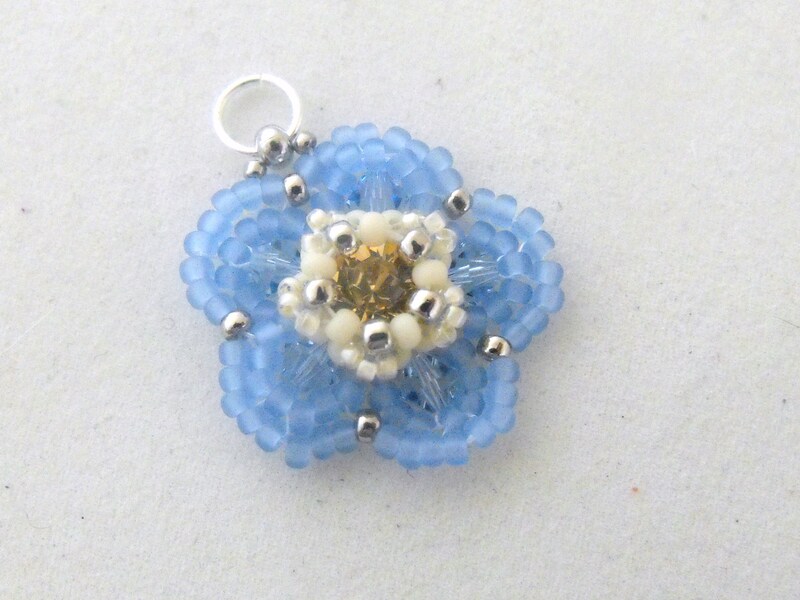 And who would not fall in love with Ginger’s tiny beaded flowers?!! Intricate work like this never ceases to amaze me. Check Ginger Bishop out here. 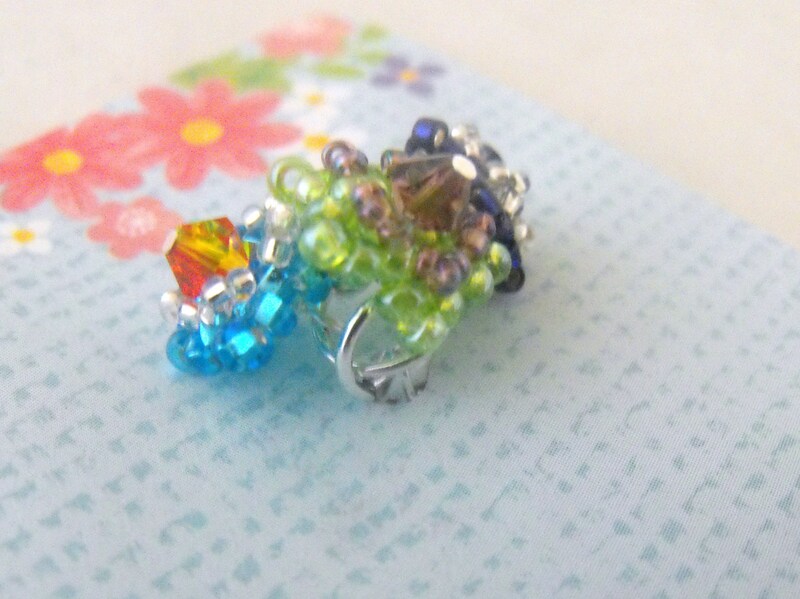 This little tree charm is so darned cute! That little heart just cries out for my grand daughter Jessie’s initials with her husband, Nick. This is Linda Haskell’s work. You can find more here. What a cute folksy little heart from Patty Pulliam’s Rustic Studio! Nancy Dale’s flower amazes me! All that tiny detail! What a beauty this charm is! Cory Tompkins of Tealwater Designs has created this delightful little resin heart, reflecting her love of home and hearth. 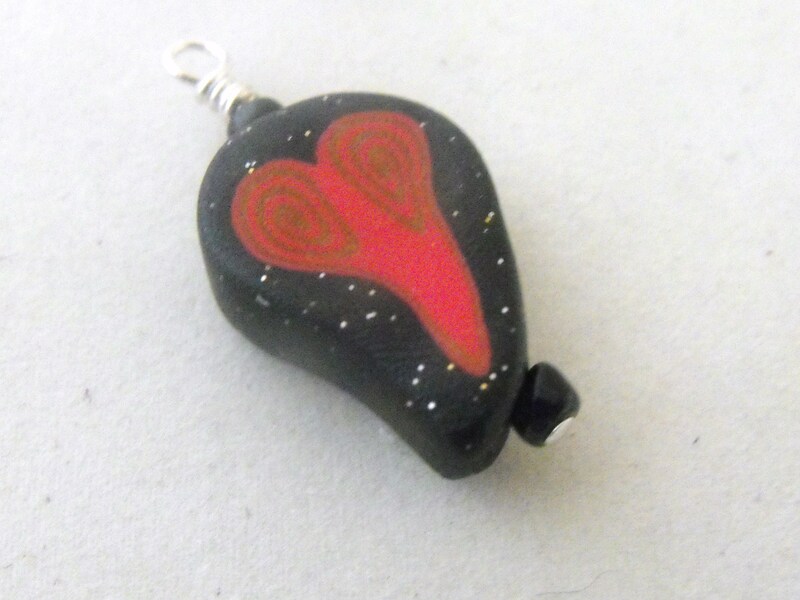 I know firsthand, from working with resin that a deceptively simple design like this is hard to create. Her skill just makes it look so easy! 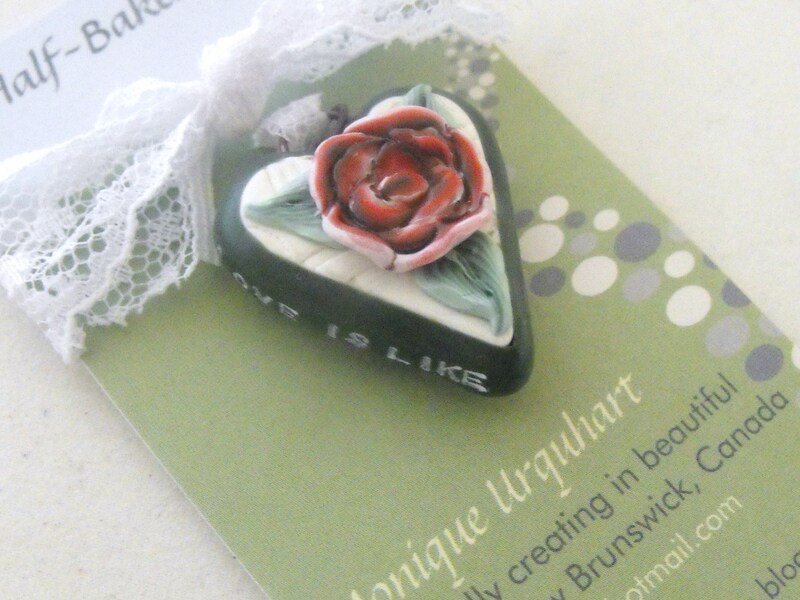 And last, but definitely not least, this beautiful and romantic heart from Monique of A Half Baked Notion. I have a definite plan for this one! Had just got some beads for a bracelet for Mom and had no focal bead. This is just perfect, Monique! Now, the most important part! TAAA DAAAA!!!! You can find all these charms and many many more at the auction for Beads of Courage fundraiser. PLEASE! Go there! 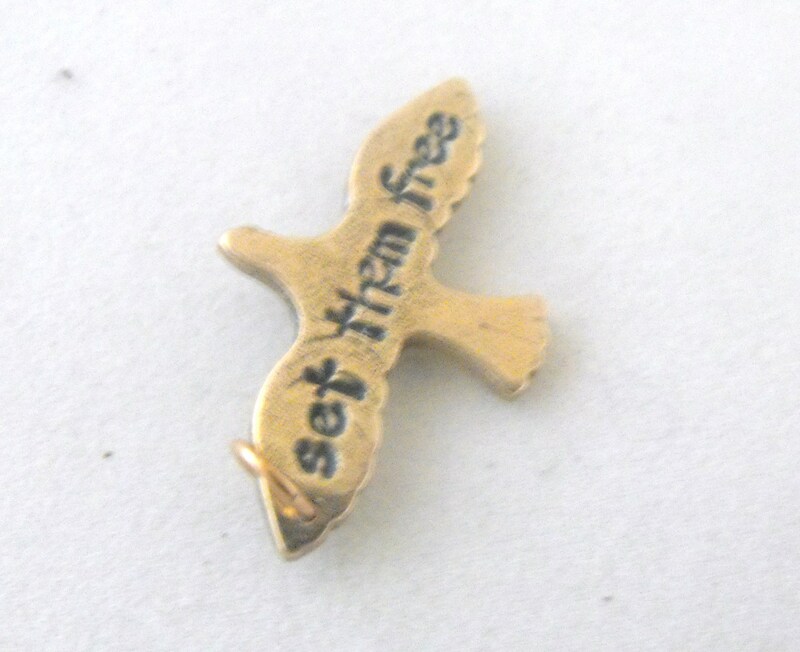 Buy one of these wonderful little charms. Why would you do this? The charms are beautiful and would make fantastic gifts! 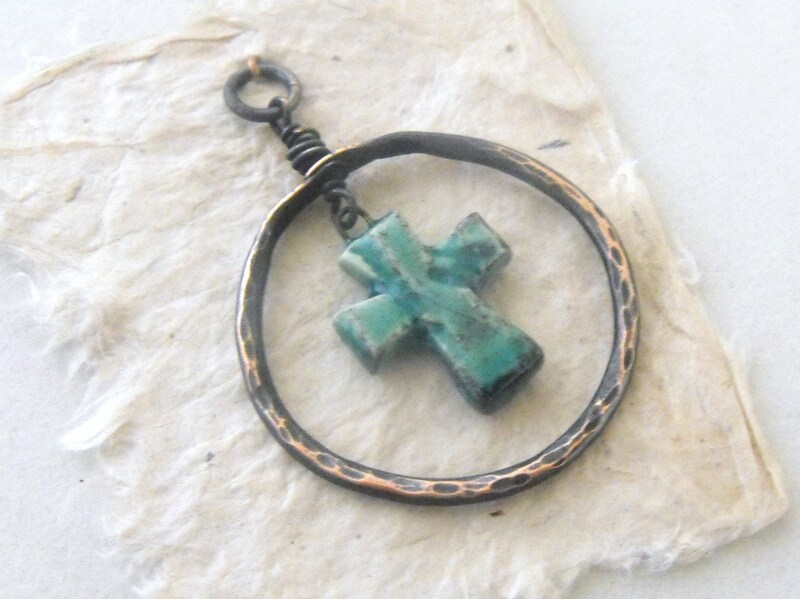 If you make jewelry, one of these handmade art charms would be a perfect component. Even if you do not make jewelry, one of these charms would make a great stocking stuffer for someone you love. 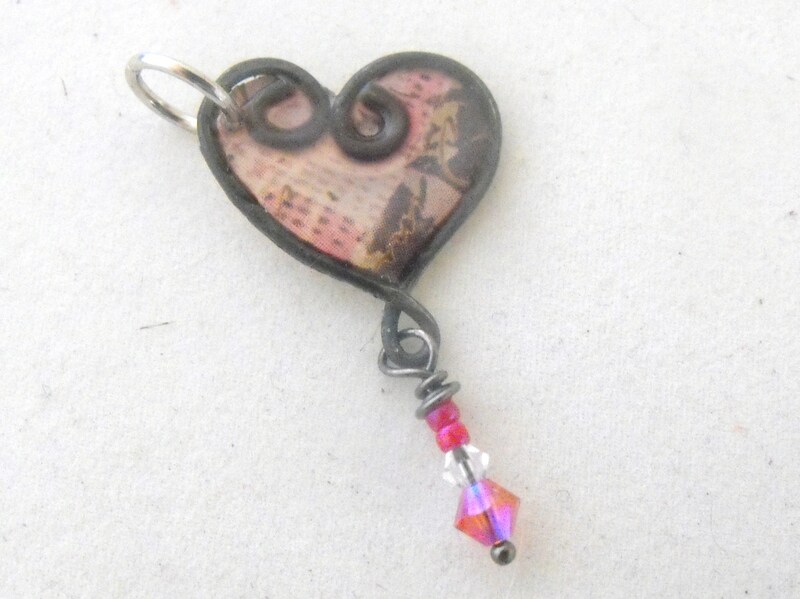 Tell you what……..if you don’t make beads but fall in love with a charm…..buy it! I promise to make you something from the charm for only the cost of the beads I use and the postage, my time is a gift to the cause….now you have no excuse not to bid on one of these beauties!!!! Most important of all………..you would be supporting a wonderful cause! Beads of Courage benefits kids with terminal illnesses. What a great gift to give………..a gift from your heart. Tis the season to open your heart and show your LOVE! Do it now! Here is the link to the auction! Oh, and before I forget…….a huge thanks to Jen Cameron of Glass Addictions who organizes this whole exchange and give generously of her time and energy, collecting all the charms, stresses with deadlines, sorts and matches and makes sure all participants get their exchange charms on time. Jen, you are awesome!!! Here’s a list of all the participants in this Art Charm Exchange. After you go see what you want to buy at the auction, you can check out thes talented ladies and say hello. Too cute! 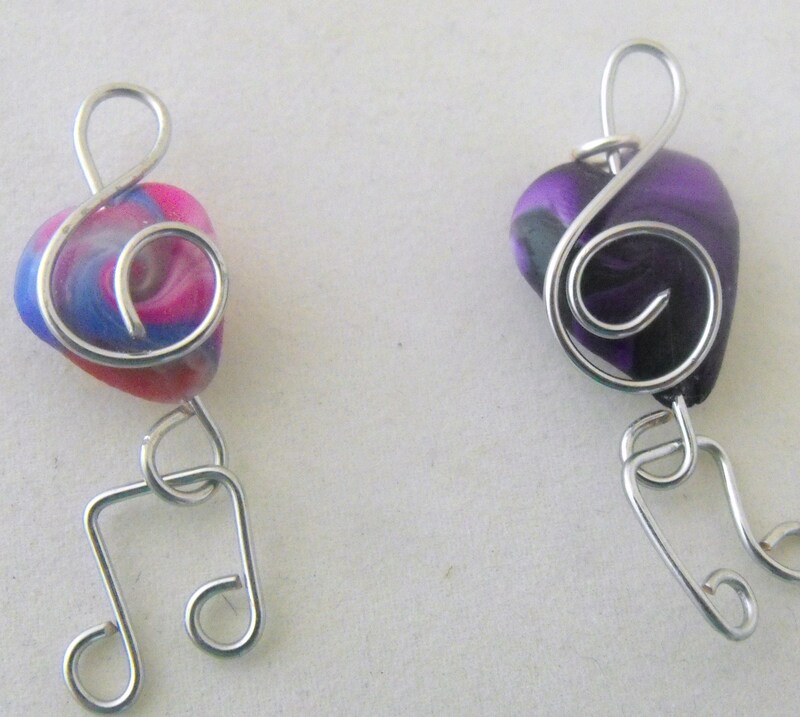 Perfect for the music lover! just a tiny wild………that was me, LOL…….Thanks Nancy. This is one of my favorite events of the year and your post is a prime example, Lee! Your sweet story of young love, and the fact that you have already paired charms to the special folks in your life… not to mention your own wonderful design (I am also a music lover). Awesome! Thanks Monique! This is such fun! Beautiful charm. I love the one I received from you. I appreciate hearing the story behind your charm. I admire the photography skills you display. Oh, I LOVE THIS STORY!!!! Thanks for sharing it. I loved your charm before, but now I love it even more after hearing that story 🙂 I am so glad you enjoyed the swap and thanks for participating and helping to raise money for the kids. Jennifer, I do love this swap and I sure want to do another next time! I hope we make lots and lots of money for the kids! What a clever charm! I love the way these came together! I think we can all agree that music is definitely love-worthy! Your charm is my favorite but what an amazing thing to do!!! Headed to the auction…..
Getting that wire correct once would be hard –getting it right so many times must have been a real challenge! Beautiful! LOL, I have to admit, I messed up a little bit of practice wire, trying to get it down. Such a perfect combination: music and hearts ~ pure love! When I saw your charm in the auction, I thought, “love is the music of one’s heart.” Such a clever idea and the wire work is nicely done. What a great idea! And such a wonderful story! Thank you for sharing it!